This week on RLA radio your host Dennis Tubbergen talks with guest Mr. Jeff Deist. Jeff is the president of the Mises Institute, he serves as a writer, public speaker, and advocate for property markets and civil society, he previously worked as a longtime advisor and chief of staff to Congressman Ron Paul. Together they discuss what actually makes for a productive economy, what makes people more productive, able to produce goods and services at lower cost over time more efficiently. To learn more about Retirement Lifestyle Advocates, please visit our website at www.RetirementLifestyleAdvocates.com. To learn more about this week’s guest, Karl Denninger, please visit http://market-ticker.org/. On this week’s program, host Dennis Tubbergen interviews Mr. Michael Pento. Michael is the president and founder of Pento Portfolio Strategies and author of the new book The Coming Bond Market Collapse. Today’s discussion centers on the central banks around the world, the low-interest rate corner they backed themselves in to, and what that might mean to our future financial stability. On this week’s program, host Dennis Tubbergen interviews Forbes contributor and prolific author John Tamny. His most recent book is titled The End of Work. John is also a senior economic advisor to Toreador Research and Trading, and editor of Real Clear Markets. In this week’s interview, John offers his perspective on the Federal Reserve’s ability to influence the markets and the future of the American workplace. 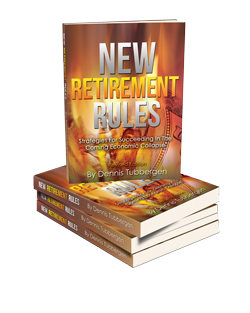 For more information about Retirement Lifestyle Advocates, please visit www.RetirementLifestyleAdvocates.com. For more information about our guest Harry S. Dent Jr., please visit https://harrydent.com. For more information about Retirement Lifestyle Advocates please visit www.RetirementLifestyleAdvocates.com. For more information about our guest, Gerald Celente, please visit www.trendsresearch.com.